The World Health Organization Regional Office for Africa (WHO/AFRO) announced on April 24, 2017, that Ghana, Kenya, and Malawi will partner with WHO in the Malaria Vaccine Implementation Programme (MVIP) that will make the RTS,S vaccine available in selected areas of the three countries, beginning in 2018. RTS,S/AS01 — trade name Mosquirix — is a recombinant protein-based malaria vaccine. Approved for use by European regulators in July 2015, it is not only the world's first licensed malaria vaccine, but the first vaccine licensed for use against a parasitic disease of any kind. 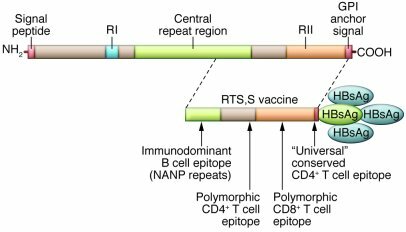 The RTS,S vaccine was conceived of and created in the late 1980s by scientists working at SmithKline Beecham Biologicals (now GlaxoSmithKline Vaccines) laboratories in Belgium. The vaccine was further developed through a collaboration between GSK and the Walter Reed Army Institute of Research and has been funded in part by the PATH Malaria Vaccine Initiative and the Bill and Melinda Gates Foundation. Its efficacy ranges from 26 to 50% in infants and young children. The disease can be controlled and treated if diagnosed early on.